Novelists learn how to write fiction by reading it. But what are the best novels for learning about the craft? We asked author Ron Hogan for some recommendations. Ron Hogan is the founder of the seminal literary blog, Beatrice.com and has previously worked as a senior editor at GalleyCat and as the director of e-marketing strategy for Houghton Mifflin Harcourt. 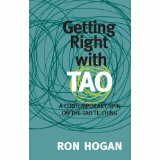 He is the author of the books Getting Right with Tao: A Contemporary Spin on the Tao Te Ching and The Stewardess Is Flying the Plane. He is also a contributor to the New York Times bestseller Not Quite What I Was Planning and the critical anthology Secrets of the Lost Symbol. Q: Could you recommend a novel with characters that felt particularly real to you or which made you care about the story? A: This is an area where the best romance writers really shine -- as a genre, romance plots can tend towards a set of "expected" events, and in those cases the emotional authenticity of the characters and their reactions to the situations in which they find themselves can make all the difference. Eloisa James is particularly excellent in this regard, in everything of hers that I've read so far; I was also tremendously impressed recently by Victoria Dahl's A Little Bit Wild. "For the most part, you can't separate out character strength and plot strength -- if you don't care about the people involved one way or the other, you aren't going to be interested in what they're going through." Q: Could you recommend a novel that you think is an example of effective plot development and pacing? A: For the most part, you can't separate out character strength and plot strength -- if you don't care about the people involved one way or the other, you aren't going to be interested in what they're going through. There are only a handful of absolutely breakneck plots that can get away with being stronger than the characters; Dan Brown's The Lost Symbol is a particularly well-known example of that. The trick to making that book work is the way Dan Brown just keeps throwing plot (and the nonfictional argument disguised as dialogue and exposition) at the reader without ever pausing and giving readers the opportunity to recognize that most of the actors are all stock figures and/or compilations of character traits rather than characters. But there can only be a handful of Dan Brown-like authors at any given time, so your best bet is probably to start with compelling characters and then put them into a situation and see how they react to it. Q: What's an example of a great beginning to a novel? A: The most memorable opening I've read recently was probably in Paul Murray's Skippy Dies. The first chapter delivers exactly what the title promises: You meet a character named Skippy, and mere pages later he's dead. And not only is it funny and tragic at the same time, it makes you want to keep reading, first to find out who he was, and then to find out what happens after he dies. Q: (Without giving the ending away), could you recommend a novel with a particularly satisfying ending? A: Well, these aren't ENDINGS so much as they are climaxes, after which there's still some Act 5 denouement to read through, but China Mieville's Kraken and the recent reissue of Thomas M. Disch's The Priest are two great examples of stories that have several narrative threads that converge in ways that feel unforced and natural, but still engrossingly dramatic. Q: Could you recommend a novel where the author has successfully done something innovative with form or genre? A: I was greatly impressed with James Ellroy's original LA Quartet when I first read it in the 1990s; from The Black Dahlia to White Jazz, you could literally see his voice radically mutating from one book to the next. Recently, I've been delighted by the short-story anthology Machine of Death, a collection in which several dozen authors offer their take on the concept of a machine that tells you how (but notwhen) you'll die, usually in an oblique and ironic manner. The stories range from bleak to disturbing to hilarious; one story is even exuberant, if you can believe it. Q: Could you recommend some wonderful novels or story collections that are not as well-known as they should be? A: Oh, we could be here forever if I started doing that. But there are a number of smaller independent presses that have been publishing excellent fiction at a respectably consistent rate, so if you keep your eye on Graywolf Press, or Unbridled Books, or Other Press, or Europa Editions, you're bound to come across several interesting things. Those are just the first four that come to mind; I feel like I'm leaving out a bunch of others. Did you enjoy this interview about the best novels for writers? Also check out Edward Champion's best novelschoices and Jonathan Mayhew's reading recommendations for poets. Visit our How to Write a Novel section. Return from Best Novels to the Creative Writing Ideas Blog. "As usual - I already love the course on Irresistible Fiction, rewriting a lot and improving greatly even after the first lesson. Thanks so much for the great courses." "I am loving the course and the peer interaction on the blog is fantastic!!!" "I'm enjoying the weekly email course, Essentials of Poetry Writing. Thank you for offering a basic, no nonsense basic poetry course at a reasonable price." "Thank you for all the material in this course. I have learnt so much." "I was pleasantly surprised at the quality of the lessons and feel they were very helpful in introducing new ideas and perspectives to my writing. I am sure I will go back frequently to review them for reference during many of my future writing projects. Thanks again!" "Thanks very much for this course. It's been really helpful and well-explained. I look forward to any more courses you run." "I'm learning so much. This course is amazing." "Thank you so much!! You're always there... The course is great. You are always looking forward to the next lesson like a good novel!!!" "Thank you for a course that builds writing skills with direction to excellence. Everything was included, possibly more than college courses can offer." "It was a nice journey for me to be able to write in answer to your e-mail lessons. Being able to post the answers on WordPress is exciting. I had not done that before taking your writing class. I plan to take another of your e-mail class, either the 8-week descriptive or the new poetry class." "The Irresistible Fiction course is going well. I see why it's a bestseller. I can't wait for the next email." "Thank you so much for putting together this writing course. It was of good value to me as it got me started thinking more deeply about my characters. I don't have a lot of time to write, working two jobs, but I am doing the ten-minute exercise with each lesson, and each evening, trying to get in the habit of sitting myself down to write... I would recommend the course to anyone."